The berries start off as pale green but as they mature they turn to a deep burgundy red colour. When pinkish they are excellent for cooking and when .... Click here for the full in depth article. 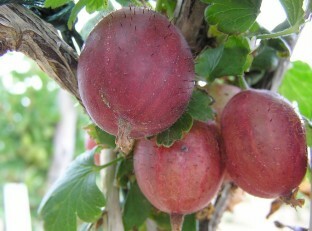 Hinnonmaki Red (sometimes known as Hinno Red) gooseberry lacks an AGM but is our favourite. It produces large red berries, and lots of them, which are sweet enough to be eaten raw - really delicious. This is a strong grower which has good resistance to disease. We recommend this one without hesitation and it thrives even in cooler areas. See also the comment at the end end of this article dated 13 March 2015. This variety is resistant to American Gooseberry Mildew and that alone makes it a good candidate for one of the best varieties. Combine this with the fact that Invicta is a very strong bush which produces a large crop of fruit reliably each year and it is clear why this variety is so popular. Awarded an AGM (Award of Garden Merit) by the RHS. This is an early season variety (early June) which is best used in cooking. Our recommended online supplier (based on quality, price, reliability) is Crocus, their informative page for growing and buying this variety of Gooseberry can be found here. With all the attractive red berries the traditional green gooseberries are sometimes forgotten and Leveller is a very good reason to consider them. This variety is tops for flavour and the skins have very few hairs on them. Excellent raw picked straight from the bush and also for cooking. This is a mid season variety producing fruit from the end of June to mid July. It has better disease resistance compared to most varieties and is well suited to the UK. It does however need a well dug and reasonably fertile soil if it is to crop reliably and well but it's well worth the effort. The berries are large, about 10g each, and if you get the soil conditions correct it will produce an impressive crop. Pax was first released to the market in 1989 so it is a relative newcomer in the gooseberry world. It is a cross between Whinham's Industry and another unnamed variety. One of the key advantages of this variety is that it produces almost no spines - a great advantage when picking the fruit. Individual fruits are a deep red, of average size (7g per fruit) and ripen mid season in early June. They are sweet enough to be eaten off the bush but also cook well. You can expect a crop of about 1.75kg when the plant is mature. Disease resistance is good, pruning to an open centre greatly aids ventilation and reduces the chances of mould, mildew etc. Whinham's Industry has been grown for many decades and it stands up to more recent introductions extremely well. The red fruits are attractive and have fewer "hairs" on the compared to many others making them easier to eat straight from the bush. Individual berries are about 10g when ripe making them on the large side of average. Excellent for eating straight from the bush and also for cooking. The plants do have lots of thorns but they are upright and strong growers. Over the years this variety has proven itself to be exceptionally suited to the UK climate - they grow well in partial shade and make light work of heavy clay soils. Fruits are ripe in July making it a late cropper, useful for extending the season. It's only weakness is to mildew, so prune well each year and keep the centre of the plant open. Awarded an Award of Garden Merit (AGM) by the Royal Horticultural Society. COMMENT: I had similar experiences with what I though was Hinnonmaki Yellow. The reviews for it e.g. expect 3kg in 2nd year are pure nonsense. I've even read descriptions of large to very large fruit. Hype again. The fruit was small every season and at best medium sized in a light crop, but always delicious as most gooseberries are when fully ripe. I had numerous purchases of said plant and all were very different, until I actually managed to get the genuine plant from verified stock. What a difference. Fruit is mostly medium sized, plant is vigorous and flowers set freely. No mildew as yet. 3 pounds per season is realistic if plant is left to mature to its full size. The Hinnonmaki Red is double this and far superior. COMMENT: It's interesting to see that some people can achieve over a kilo from a hinomaki yellow. Mine has just always been a bit pathetic compared to the red. The fruit tastes great but the yield will be terrible this year. I think I am blaming the nursery I got the plant from. It has some of the highest reviews which leaves me a bit confused but I bought a blueberry at the same time about 4 years ago and bought an identical variety from Waitrose at the same time. The plant from the nursery produces the same fruit but the leaves are always smaller and the growth branchier and less yield. It's the same story with the hinomaki yellow but I can't be sure if it is the plant or the variety as I have nothing to compare it with except a very productive red Hinnonmaki. I will have to get a new Hinnonmaki yellow. I think homebase are selling little cuttings for £3 at the moment. I just can't explain how I have the same variety from 2 different places that grow so differently. COMMENT: Last year I cut all my very old gooseberry plants of Careless and Invicta and Captivator down to a few inches above soil level to revitalize them. Only Captivator has grown back well and is resilient from severe pruning with new shoots appearing from the base. The rest died or rotted from winter wet. Also the cuttings I took from all rooted fairly easily, so I still have my plants. QUESTION: As Spring is just around the corner after a relatively mild winter, does this site have any good recommendations for a good yellow desert gooseberry with good yields and some mildew resistance? ANSWER: My choice would be Captivator (see here). It has good mildew resistance, good taste and produces a reasonable crop. COMMENT: I grew all of the Hinnonmakis this year along with Captivator. The green was sour and bland, but many fruits, the yellow sweet, but not a lot of fruit, the red was prolific and sweet fruiting early July with the other two slightly later. All attacked by sawfly regardless of bug spray; the Captivator was stripped clean of foliage- the rest minor damage, but still managed a decent crop late July. The H Yellow is a strong plant(I'll keep it for now as it has a unique growing pattern like a strawberry runner and roots easily!) and like its red counterpart and Captivator is quite drought resistant to hot temps even 32oC at peak of heat wave we've had. The Captivator plant I'd bought lacked vigor, so could be bad stock or diseased? I'll get a new plant later to replace this. The H. Red & H Yellow appear not to be pH fussy and grow well in our poor soil. Zero mildew on all plants. If you can live with the thorns the red one is a must for the home garden orchard. QUESTION: As a child 50 odd years ago we used to eat gooseberries straight from the bush and they were very sweet. Usually red. I wonder which varieties I should choose to plant? I do not want to cook them just eat raw. RESPONSE: I would go for Hinnonmaki Red. It is both sweet and red. QUESTION: Hinnonmaki Red is generally accepted as the best variety of gooseberry there is(and it is), why then doesn't it have the coveted RHS Award of Garden Merit? A rhetorical question. RESPONSE: That may well depend on when they last did a trial of gooseberries. A quick search on the internet yielded no results. Often people assume that RHS AGM is up to date but our research indicates that often they can be 10 or even 20 years out of date. I don't know if this is the case for gooseberries but it may well be. COMMENT: It is wrong to think that sawfly will only eat the leaves. In some cultivars like Hinnonmaki Yellow not all its delicate small flowers open the same time and being tiny buds sawfly will chomp happily on them as well as any open flower. I lost half of my potential crop to sawfly these past weeks despite spraying. Like others have observed small snails can also target this cultivar. For some reason the leaves and flowers of this gooseberry are very desirable to garden pests. COMMENT: I often see those tiny Grove snails/brown lipped snails eating all and sundry including flowers on my gooseberries and blackcurrants. They can cause quite a bit of devastation if left on a plant. They hide at the end of canes under the leaves. COMMENT: Hi, yes snails quite often do attack gooseberries after heavy rains. Slugs Im not so sure. When snails munch the leaves they often take off the small flower heads, if they havent formed a berry. Only solution to limit the chances of this is grow an upright variety as they attack the cultivars which are smaller and closer to the ground. Also some plants get run off when flowers are aborted- unknown reason- and drop off usually after wind or heavy rain so don't rule that out. COMMENT: I had a great flower and what I thought was going to be an excellent fruit set with my Hinno Yellow plant (not suited to a pot as it has a sprawling weeping aspect, so I planted it in the border!) until today when I examined for sawfly as I have been doing daily for the last few weeks to see half my flowers/tiny gooseberries were munched off not by sawfly, but by slugs/snails despite dosing the ground with pellets. They must have done their damage before the pellets kill them. Very disheartening. I will try shale or gravel around the plant to deter. REPLY: I've never heard of slugs / snails attacking gooseberry bushes. Has any one else any experiences of this? COMMENT: After reading all the useful gardening info on this site it made me realize that I've never actually pruned my Hinno Red in the 7 years its been in our garden since planting- lazy me!, but amazingly it keeps producing about 5 pounds of gooseberries yearly, starting from the second year of planting. This year it has set wonderfully again and is a big plant of a metre high by a metre and a high wide. The birds always leave it alone. No plant we've had has ever matched this fruit production in a relatively small sized plant. Highly complex subject, but not a major issue for gooseberry growers in the UK. There is a problem due to warmer winters for growers of traditional blackcurrants which are very high chill(1500-2000 hours) and may not get enough chill in Southern areas of England. For that reason new cultivars are being developed. It all depends on the model used to measure chill e.g. temps of below 7.2 Celsius counting as 1 hour of chill. It is better to think of it as vernalization when the plant needs temps of between 5 degrees and 10 degrees Celsius to go dormant then get enough chill to achieve initiation of the flowering process after bud break in Spring. It is a very inaccurate science and subject to many problems in determining accuracy. Gooseberries need a minimum of 800 hours depending on the cultivar or maybe a 1000 hours or even 1200 hours. No general agreement there! Generally the later flowering the cultivar the higher the chill need. Some specially developed gooseberry cultivars like Glendale or Pixwell are said to need only 600 hours of chill as they fruit in Zones 9/10. Good resource below to explain the science better. Hope that helps! QUESTION: We bought two established gooseberries for £16: Hinnonmaki Yellow and a Captivator. Both are covered in tiny flowers, so that's a bonus, if we get some fruit this year. What are these chilling hours plant nurseries talk of and how many do gooseberries actually need? First I've heard of this term so I'm intrigued. ANSWER: I hope some other viewers will chime in with more information. Chilling hours is the amount of time a plant is exposed to cold (near freezing?) conditions. Some plants will only grow well if they are exposed to a number of hours when the weather is cold. Plant A may require many days of cold to produce a crop in spring / summer but plant B may only require a few days of cold weather to do the same. Exactly what the biology is I'm not sure but that's how it is. COMMENT: A good tip for those who never see their fruit plants flowering is liberal amounts of chicken pellet fertilizer in Spring and later potash or bone/fish blood meal throughout the flowering/fruiting season. Gooseberries also prefer a slightly acid rich soil. 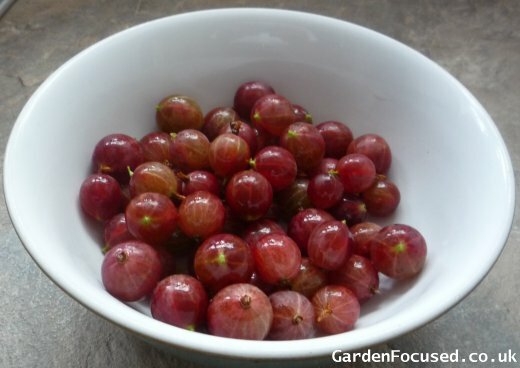 Contrary to popular belief gooseberry is not an easy plant to grow in the context that you can neglect and still get a lot of fruit- not quite true! You must feed and prune. The result is very rewarding! COMMENT: After reading a lot of reviews about gooseberry Captivator I bought a good sized plant for under a tenner last year and was surprised to see it has started to flower well on all its five long shoots this year. I was expecting 3 years down the line as lots of people say it can be slow to flower and produce. COMMENT: This is a great site to read other gardeners experiences and learn a few tips. Regarding suckering in gooseberries I have quite old established plantings of all 3 types of Hinnonmaki and after 8 years I'm getting underground suckers off all of them sprouting up a few feet away either side of each plant. I see it as a few free plants. I did replenish the soil recently with chicken pellets and liberal doses of bone fish blood meal, so that could be the reason they are all flowering profusely with small gooseberries forming. I have a Jostaberry which after 5 years flowers erratically and gives low crops. I will replace it with something later. COMMENT: I'd like to add to your response to Alec's question on gooseberry suckering, if I may? None of the modern types seem to sucker from underground roots; the popular Hinnonmaki's no exception. However some do. I was given 20 years ago a hybrid cross of Hinnonmaki Green with an older unknown type perhaps wild. It suckers from the roots, flowers early, is very vigorous, has good mildew resistance, not bothered by aphids or sawflies much and gives good yields of very large white yellow fruit which get big and explode, if left on the bush ripening too long. The gooseberry is indeed a fascinating plant to grow and incredibly adaptive to changing climates unlike blackcurrants which apart from Jostaberry I never had any luck with- reversion, virus etc. COMMENT: I'd like to add my experience of growing gooseberries to this great site. The best I've seen to date is Hinnonmaki Green. In fact any of the Hinnons are good for the garden. The reason I like H.Green is it resists sawfly every year. H. red gets them now and again, and H. Yellow every season! The crop is good giving large succulent sweet green/yellow goosegogs mid July and it has excellent disease resistance. It has really good vigor, breaks buds much earlier than any gooseberry I grew. Even now at time of writing I can see small flower buds forming on its small leaves. This plant is not phased by frosts whatsoever. Responds well to pruning as it is very upright and it suckers freely from the base so plenty of cuttings to take. They root easily. Watch out for its thorns though-they are vicious. Thanks. COMMENT: An enjoyable review of Captivator gooseberry. My observations of it were similar. I picked 1.6kg of fruit from one plant last year and it's an effortless plant to grow in the garden, plus virtually thornless to boot and mildew resistant. My wife's Hinnonmaki Yellow plant had a similar yield of about 1.5kg+. Its growth pattern reminds us of a strawberry with runners, which is unlike the traditional single bare leg growth pattern of gooseberry perse. This spreading cultivar can root easily when long vigorous shoots bury under the soil line. The fruit is really sweet, like a sweet grape, but its thorns are razor sharp needles making pruning a bit of a chore, but still worth growing for its quality fruit. Also it does resist mildew most years. Cheers! QUESTION: My question to ask the experts is when new shoots form this year on an established gooseberry plant do they bear fruit on them the next year or is it 2 years later? Thanks for advice. ANSWER: They bear fruit the next year, and also the year after. They will bear fruit for two years or so after that but the amount of fruit will decline. COMMENT: After many years trying to determine why my lone planting of Hinnonmaki Red was left undisturbed by sawfly or any other pests, yet all other plantings of this and other gooseberry cultivars were attacked each year in different spots, I discovered by chance that it was because of a planting of Artemisia abrotanum (Southernwood) planted next to the Hinno. All garden pests loathe its camphor smell I was informed! I'm now going to propagate it all over the garden in springtime. QUESTION: I've just bought a bargain gooseberry plant and wondered does Hinnonmaki Red sucker underground and spread? ANSWER: No it doesn't Alec. If the tips of the lower stems are bent down to the ground they will probably take root but that's as spreading as they go. 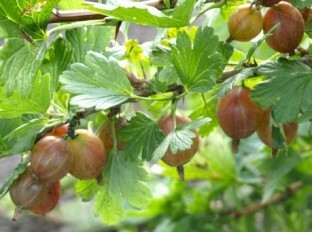 The same goes for all varieties of gooseberries as far as I am aware. Regarding gooseberry Captivator the key to success is the soil and patience as the site review states, if you intend to grow it in a large container on the patio. A 15 or 20 litre terracota would suffice in most cases! If you can, get hold of some moisture retentive soil. It will be a lot heavier than most and may appear as peat when damp but it isn't. Your plant roots will grow slower in it, but in the long run it will make for a much stronger plant unlike a standard soil which will become quickly root bound and stress the plant in hot weather. Any of the Hinnonmaki gooseberries will also thrive in this soil type in a large tub etc, but not Invicta Malling as it is prone to root rot(from pathogens in soil which build up) and dieback due to fungi from perhaps an open wound after pruning. These things effect Hinnon Red/Yellow but extremely rarely. Captivator appears immune to all except rare leaf septoria spot which is nothing to worry about. You need well drained soil for Invicta though! I had no success with Captivator. For me it had low vigor, was very difficult to strike a cutting and eventually died out. In its place I bought a cheap gooseberry for Â£1.99 identified as Hinnonmaki Yellow (later I thought this to be quite wrong!) by customer support I emailed on the label. It has horrible bad thorns worse I've seen in a variety, is vigorous, breaks bud early in spring and very upright unlike the typical spreading habit Hinnonmaki Yellow description gives of small berries too. My plant gives medium sized crops(1-2kg) of succulent huge yellow green berries far bigger than any I grew before, averaging 15 grams and bigger. Perhaps its Leveller, I'm not sure? I kept it for its fruit size and it rarely gets mildew. Also it strikes cuttings easily and is a great cat deterrent which dig in my border at night. Great pies too! Lots of pleasing comments about Hinno Red. I will add a very relevant detail too. My gooseberry Leveller succumbed to gooseberry vein banding(it is also the standard cultivar they use to detect it in labs). My Hinno Red and Captivator both planted nearby showed zero symptoms symptoms of a yellow veined/chlorotic pattern, despite getting some aphids too. Leveller was always plagued by lots of aphids and the yield was virtually zero in the end and sadly had to be destroyed. All my cultivars were planted together for 5 years! ***Gooseberry Spinefree is the female parent of gooseberry Captivator and gooseberry Clark is the male parent in the original hybrid cross. Realistically expect yields in the UK to be a good 3 to 5 pounds by the 4th year. I've have had mine for over 10 years. Big yields only started in the 7th year. Beware of poorly sourced cheap gooseberry plants as sometimes cultivars get mixed up. Thanks. RESPONSE: Robert, if you read this, can you send me the source of your information about the parentage of Captivator, it would be greatly appreciated? I can then update the main article regarding parentage. UPDATE- thanks for the source, the main article has been updated. I visited the link given below. interesting stuff, thanks! I'm trying to find an old cultivar from my youth. My uncle had an allotment for over 30 years before the council levelled all the rented allotments for new houses. On it grew the most wonderful greenish/yellow gooseberry. The bush was at least 10 feet wide by 5 feet high and was jam packed every year with tons of them. As kids, my sister and I used to pick bags full of them, some years over 20 pounds and my uncle would freeze them for later use like jam and sauces for meals. I'd love to know the variety, very thorny, with slight bristly large gooseberries? with which our aunt made some terrific tasting pies and was also delicious fresh with a tangy sweet taste. Great wine too! Oh those days! I'm always surprised by the internet reports of differing plant reviews with some gooseberry cultivars or how similar they are that is hard to determine, if it is just hype regarding yields or mildew resistance etc. I'd like also to see this site's unbiased review of Hinnonmaki Yellow for other gardeners similar to the excellent Captivator review, as the other site reviews of gooseberry cultivars are very relevant and good for the amateur gardener like me. I can say the Hinno Red is true to its review here as is the Captivator one. Thank you. I'm not sure, if the link I write below will be okay to publish, but it is a very harmless one nonetheless (non spam!) giving some excellent commercial reviews of gooseberry cultivars and recommendations. Info on Hinnonmaki Red is the standout info! There's been a revival of sorts with gooseberry and I'm glad of a site which gives you cultivar information and allows you to post your experiences. The only ones I grow are Lady Sun or some daft name bought by my daughter (yield 1.5kg/early July, very sweet yellow fruit but aphids love the leaves) and Captivator (2.5kg yield mid July fruiting very tasty/aromatic); both grown because they are semi thornless, so I have an extended picking season of a month. Very comfortable gardening for me! My Captivator plant is over 6 feet wide and as big, it can produce 2 to 4 kg in ideal conditions after its establishment. These yields only come when it has been established for 3 to 5 years. Great plant if you get the soil and conditions right in your garden. Hardy to -40o Celsius and grows well in zones 2 to 9. I particularly liked this site's unbiased review of gooseberry Captivator and other cultivars that I had my son buy me one. This plant is ideal for my garden. I had grown green cooking gooseberries, but since moving, I lost the gardening bug a bit. But after trying my neighbour's deliciously tasting Hinnon Gold last year I thought why not get a red thornless variety for desert! Don't want thorny types ever again. Thank you. Just checked my long neglected gooseberry Hinnonmaki Red and it is forming small gooseberries on its flowers yet again. My other gooseberry cultivar plants were all replaced with this gem of a plant a long time ago! I've grown many cultivars of gooseberry over the years and one thing is true: there is a huge amount of cultivar sub variability within them as with rubus blackberry concerning disease and fruiting patterns. I grew Hinnonmaki Yellow delicious greenish yellow medium sized gooseberries, was given a cutting last year by an allotment friend of the same original Finnish cultivar as he said I would be pleasantly surprised by it and I was: the gooseberries went a deeper golden yellow when ripe, plus were much larger indeed over a season of three fruiting weeks in late july. No mildew or sawfly as well were ever seen. I get 4kg a year off it each year. 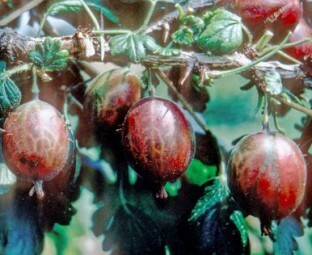 Excellent web page on gooseberry cultivars. It looks like most gardeners of all levels are growing the Hinnonmaki types in favour of Leveller and older cultivars. I'm not surprised as the most commonly sold in most stores are either these green or the red from Finland. I picked up the Hinnonmaki Green a week back to replace my older mildew ravaged planting of Careless as the Green is said to have supreme mildew/disease resistance,yield, high goosegog desert/culinary quality and being widely grown in Europe is confirmation of these facts. The Hinnonmaki Red is my favourite of all for desert! Great review about gooseberry Captivator by the way. This plant gets so so or positive reviews. Its fruit when ripe can drop early, it can take up to 3 years to bear even a single fruit as it appears to be site/soil sensitive. Its yields have been widely reported as lowish 1kg per plant as far a field as Australia to America, but in places like Poland it has been high yielding of over 2.5kg, juxtaposed with Hinnonmaki Yellow which has shown very low yields of below a kilogram in some trials there, yet massive yields elsewhere of 3kg plus. My point here is that there is so much variability with even named cultivars trust your own experiences. I had a Hinnon Yellow plagued with mildew, bought a new plant from a different supplier and never saw it once despite being planted in the same place as my previous stock which died out. Nearly Spring and my Hinnonmaki Gold is already budding well. My Hinnonmaki Red like every year is a few weeks later when buds show any signs of growth, sort of looking a bit worse for wear really, but nonetheless consistently fruits earlier than Hinno Yellow which fruit ripens 10 days later in late July. Planting chives near gooseberry also deters sawfly pests I found over the years. My father used to be a commercial fruit grower. 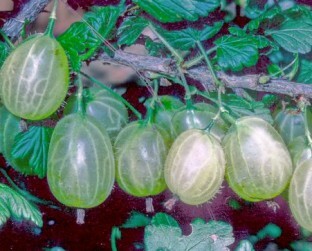 The commercial gooseberry cultivars most widely grown in the States and UK/Europe are Invicta, Hinnonmaki Red and Yellow. All are excellent cultivars due to extreme hardiness and mildew resistance (Hinnonmaki Red is virtually immune!) which all the older heritage English types lack as in Leveller. Invicta is best used for culinary purposes, but the Hinnos for desert as well as culinary. Hinnonmaki Green by commercial growers is not preferred due to its acidity levels though fairly sweet when ripe and suitable for the home garden. I thought I'd weigh in a little here as I grow gooseberry Woodpecker(is it an English heritage one or European?) and have the Hinnonmaki yellow too. This chill thing(accumulated hours of under 7 Celsius to allow the plant to break bud dormancy) though needed is exaggerated with gooseberries compared to currants whose need is very high in most cases 1200-1600 hours. My gooseberry Woodpecker is actually showing signs of breaking bud now and by my estimation we have had barely 700 hours as yet of these required temps of under 7 degrees centigrade where I live, maybe less. Quite often the Hinnonmaki Yellow breaks bud early too. I believe some gooseberries can get by with a lot less than estimated by the so called experts. A month or so of harsh cold seems to be more than enough in the UK for gooseberry cultivars! The problem is confounded by the inception time as nobody really knows when a plant actually starts to accrue these hours. Blackberries pose similar issues for experts who estimate these hours! Hinno red is apparently lower chill need too. I've bought both Hinnonmaki Red and Hinnonmaki Yellow only yesterday and an experienced gardening fellow at the nursery told me these Hinno types do not need as much winter chill as traditional gooseberry cultivars which are always in the 800 to 1000 hour range. Hinno types especially Yellow can bread bud early in spring and reach their chill requirement at even less than 800 hour minimum I was told. Makes sense now when these Hinno are very popular in hotter regions of America as well as cold ones as they are grown successfully. Hinno Green does not seem available in U.S? but is more popular in the U.k. I stuck with these two tried and tested types. My Captivator died out and hardly produced in the 3 years I grew it. Very confusing when Hinnonmaki Red is stated as synonymous with Lepaan Red, yet both plants in fruit size are very different as stated above, plus Lepaan Red has fair mildew resistance according to NCGR Corvallis Ribes collection and is synon with Hinno Red which is stated to be an erroneous name. Whom do you believe as loads of catalogues/plant trials state Hinno Red is resistant? I believe RHS trials, reputed and trusted. Hinno Yellow according to them is slightly mildew resistant. True, I've seen it on my plant every season, but never on the red plant next to it. Both delicious berries. I also grow Woodpecker gooseberry which gives mega huge delicious gooseberries(40g+) and is said to be mildew resistant, but it gets it bad every year in my garden. Trust your own growing observations I say! Any of the Hinnonmaki group is a great plant and a must buy for the garden, if you value your gooseberry, but I wish they would develop these gooseberry plants without those horrible, vicious thorns and still be productive. 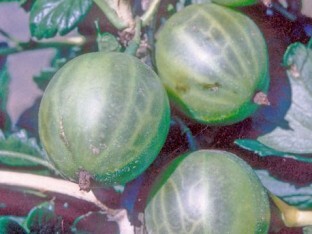 The semi-thornless types like Captivator are very poor fruit producers and weak in vigor. Hinno Green is my best producer along with the red type. Hinnonmaki Red is without a doubt the best home garden gooseberry ever. I'm very surprised that it hasn't ever been awarded an AGM from the highly respected RHS group as yet? The thorns on Hinno Red are not too bad compared to those of the Hinno Green/Yellow types. I am of the belief that it is not the same as Lepaan Red as I grow both and true sourced to type. Lepaan Red has very small berries around 3 to 5 g, Hinnonmaki is much larger around 5 to 8 grams in size giving yields of 8 pounds from an established bush. Hinnonmaki Red appears to be a subspecies of Lepaan Red or subcultivar! Hinnonmaki red is supremely healthy and disease resistant. Hinnonmaki Yellow is quite susceptible to mildew, RHS trials back this up. Hinnonmaki Green is equal to the red in terms of disease resistance, and is a heavier cropper too than both red or yellow Hinno types. The yellow/gold has varying yields and is inconsistent, with spreading growth and vicious thorns. Overrated in my book! I have just got myself Hinnonmaki red and green bare root plants(2 for £3 at BandM). I under the impression these were very sour until I tried one from a guy at work late in the season and was surprised to find it was very sweet, he ate them with a dollop of ice cream, so I thought I would give them a try.